I did manage to get my nails painted once. Because my newest purchase arrived--the limited-edition Harvey Specter by Colores de Carol! I've been following her blog for ages, and am always awed by her creativity, stamping skill, and the fact that she manages to post every day. So when she first started her own polish line, I knew that one day I'd buy some of her stuff. The time has finally come! 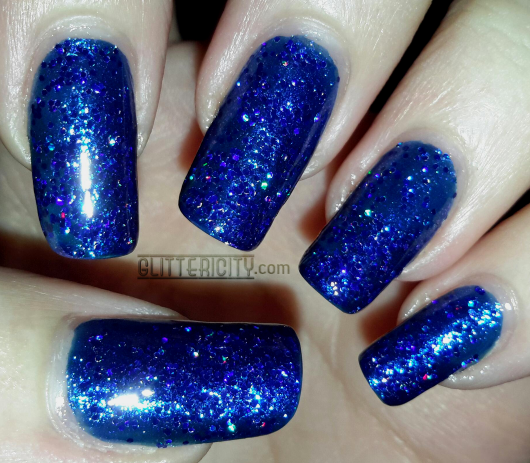 Harvey Specter is a fantastic navy/royal blue, chunky holo glitter in a clear base. It shines in electric blue, pink, purple, and green at different angles. I wish the glitter was a bit more densely-packed, but it's totally fantastic! It looks like my blog background, and I love it to tiny bits. In all my photos today, I'm wearing two coats of Harvey Specter over two thin coats of OPI DS Magic, the other bottle shown above. (Yes, it's in an old Seche Vite bottle, you sharp-eyed reader you, because I dropped it once and broke the original bottle and had to transfer it into this one.) Never mind that--look how well they match! I topped it with two coats of Seche Vite for a smooth, shiny finish. This is one of those polishes that cannot be done justice in any photos. This is so stunning in real life--deep, dark, and amazingly sparkly. Outdoors in shade. It looks more cerulean here, blending in demurely yet beautifully with its background. 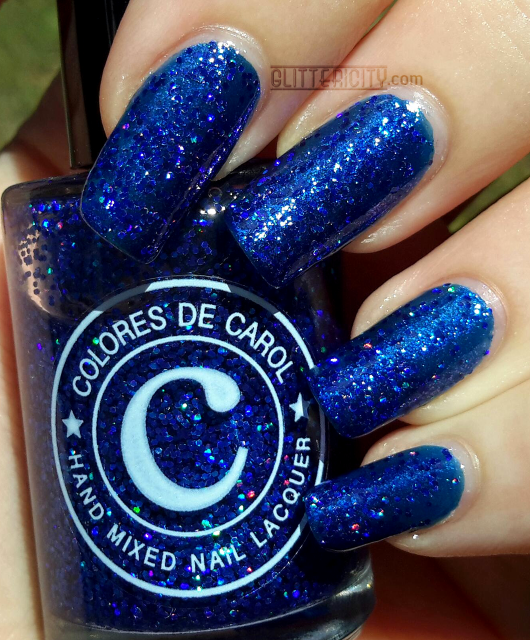 I am so glad I finally picked up one of Carolina's polishes--and that this one is so totally exactly what I've been looking for! 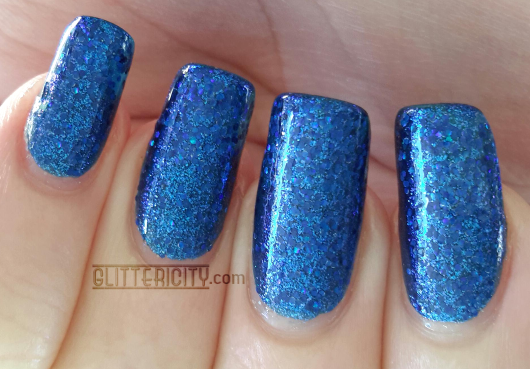 I've had a "dream polish" in mind for years that I'd love to create if I ever get the chance, but this one is really really close to it. I may have to try and find another (backup) bottle of this before it disappears. 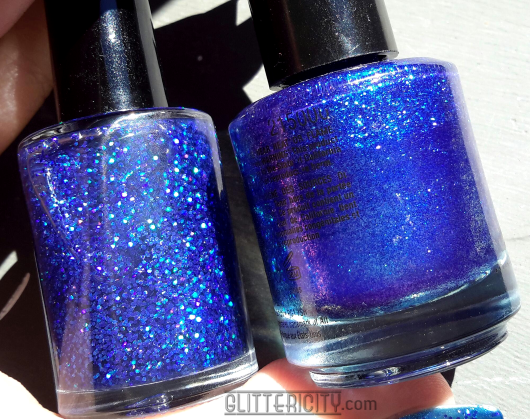 It's sold out on her shop, but still appears to be available from other stockists--I found mine at Live Love Polish! Grab it while it's hot! I love this colour! And your nails have the perfect shape for these kind of polishes. 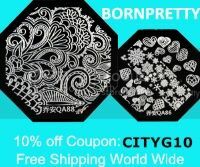 Looks stunning on you!